Without a knowledge of the saying’s context, Jesus' saying about eyes and ears and prophets and righteous men, seems quite prosaic. However, when it is understood that this saying deals with the Kingdom of Heaven, it becomes one of Jesus' most exciting and dramatic statements. The authors of Matthew and Luke placed the Blessedness of the Twelve pronouncement in two very different contexts. In Matthew, the Blessedness of the Twelve pronouncement is part of the discussion about the Four Soils parable, following on the heels of the Mysteries of the Kingdom of Heaven saying. In Luke, by contrast, the Blessedness of the Twelve pronouncement forms the conclusion of Jesus’ response to the return of the Seventy-two. Each author probably got something right with respect to the placement of the Blessedness of the Twelve pronouncement. The author of Luke was probably right in making Blessedness of the Twelve the closing remark in Jesus’ response to his apostles’ successful return. The author of Matthew, who did not describe the apostles’ return or Jesus’ reaction to their report, was probably correct in his placement of Blessedness of the Twelve following the Mysteries of the Kingdom of Heaven saying. We believe that in the Anthology (Anth. )—Luke’s source for the Mission of the Seventy-two —Yeshua’s Thanksgiving Hymn, the Mysteries of the Kingdom of Heaven saying, and the Blessedness of the Twelve pronouncement formed the major portion of Jesus’ response to the return of the Twelve. However, for reasons we have discussed elsewhere, the author of Luke transferred Mysteries of the Kingdom of Heaven from its original location to the discussion about the Four Soils parable. The author of Matthew, who generally followed the story order of Mark’s Gospel, found the Mysteries of the Kingdom of Heaven saying in the context of the Four Soils parable—a placement Mark had inherited from Luke. However, since the author of Matthew knew from Anth. that Blessedness of the Twelve followed Mysteries of the Kingdom of Heaven, and since he had no intention of describing Jesus’ response to the apostles’ return, he placed the Blessedness of the Twelve pronouncement in the discussion about the Four Soils parable. Thus, each evangelist preserved something of the Anthology’s placement of Blessedness of the Twelve. To see an overview of the entire “Mission of the Twelve” complex, click here. The Blessedness of the Twelve pronouncement is a Double Tradition pericope with a high degree of verbal identity. According to Lindsey, Matthew and Luke were able to achieve such high verbal identity because they copied this pericope from the same source, the Anthology. This general observation concurs with our conclusion that Luke’s Mission of the Seventy-two represents the Anthology’s version of the Mission of the Twelve. Which is the better reading: Matthew’s “righteous persons” or Luke’s “kings”? What had the Twelve seen and heard? L1 Καὶ στραφεὶς πρὸς τοὺς μαθητὰς κατ᾿ ἰδίαν εἶπεν (Luke 10:23). This literary bridge describing Jesus turning to his disciples was probably added by the author of Luke. While καί + participle + aorist could represent a vav-consecutive + vav-consecutive in an underlying Hebrew text, the description of the addressees as “disciples” instead of “apostles” is editorial. Likewise, the phrase κατ᾿ ἰδίαν (kat idian, “by himself,” “privately”) is un-Hebraic, occurring in LXX only in books not translated from Hebrew. These observations bolster our suspicion that the author of Luke composed the introduction to Blessedness of the Twelve. L2 ὑμῶν δὲ (Matt. 13:16). The emphatic placement of ὑμῶν δὲ (hūmōn de, “but your”) is one of the subtle changes the author of Matthew made to his source that sharpens the contrast between the (obviously Jewish) non-believers and the disciples (who are stand-ins for the members of the Matthean community). These tendentious changes are a continuation of the practice the author of Matthew followed in the preceding Mysteries of the Kingdom of Heaven saying. In Luke’s version, which is preferable in many respects, the contrast is not between believers and non-believers, but between members of former generations and those of the current generation, who were privileged to witness what the former generations had not seen. L3 μακάριοι οἱ ὀφθαλμοὶ (GR). In Luke’s version of Blessedness of the Twelve, it is not only the apostles’ eyes that are privileged; the blessing is for all eyes that have seen what the apostles have witnessed. By changing his source to “But blessed are your eyes…” the author of Matthew limited the original scope of Jesus’ saying. אַשְׁרֵי הָעֵינַיִם (HR). In LXX the adjective μακάριος (makarios, “blessed,” “happy”) is almost always the translation of the construct of אֶשֶׁר (’esher, “blessedness,” “happiness”). Likewise we find that אַשְׁרֵי is nearly always rendered in LXX as μακάριος or one of its cognates. This evidence affords us a great deal of confidence regarding our selection for HR. The evidence for reconstructing ὀφθαλμός (ofthalmos, “eye”) with עַיִן (‘ayin, “eye”) is equally impressive. Nearly every instance of ὀφθαλμός in LXX occurs as the translation of עַיִן,‎ and the vast majority of instances of עַיִן in MT were rendered ὀφθαλμός by the LXX translators. According to the Talmud, Rabban Yohanan ben Zakkai pronounced the above blessing when two of his disciples told him how they had expounded upon the “works of the chariot” described in Ezekiel. 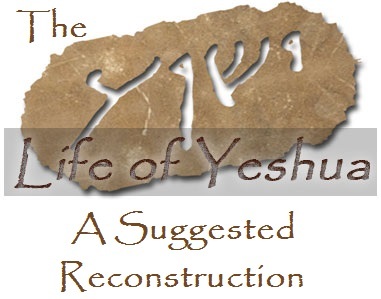 This messianic blessing not only provides a linguistic parallel to our reconstruction, it also expresses a similar thought. In both Blessedness of the Twelve and the above messianic blessing the privilege of seeing God’s redemption is bestowed upon an entire generation. Whereas Jesus’ saying focuses on witnessing God’s redemptive activity, however, the messianic blessing focuses on the person of the Messiah. L5 הָרֹאוֹת (HR). In Matthew’s version Jesus says, “but blessed are your eyes because they [are able to] see,” which heightens the tension between the disciples and the non-believers who “seeing will not see” (Matt. 13:13). Luke’s οἱ βλέποντες (definite article + participle) easily reverts to Hebrew as הָרֹאוֹת (definite article + participle). L6 ἃ βλέπετε (GR). Throughout Luke’s version of Blessedness of the Twelve it is the privilege of seeing what was formerly hidden that distinguishes the present generation from prior generations (cf. L11-17). The author of Matthew dropped ἃ βλέπετε (“what you see”) from Anth. in order to further sharpen the distinction he wanted to make between the disciples and the non-believers. This omission changes the meaning of the first part of Matthew’s version of Blessedness of the Twelve, where it is no longer the opportunity to see, but their capacity to see, that distinguishes the two groups. מַה שֶּׁאַתֶּם רֹאִים (HR). Although the phrase -אֶת מַה שֶּׁ is twice attested in the Mishnah—both instances occurring in m. Neg. 13:10—there are many more examples of -מַה שֶּׁ where אֶת is omitted when we might have expected to find the direct object marker. Since we prefer to reconstruct direct speech in a style similar to MH, we have chosen not to include the direct object marker אֶת in HR at L6, L8, L14 and L18. L7 καὶ τὰ ὦτα τὰ ἀκούοντα (GR). Just as the author of Matthew changed the Anthology’s οἱ ὀφθαλμοὶ οἱ βλέποντες (“the eyes that see”) to οἱ ὀφθαλμοὶ ὅτι βλέπουσιν (“the eyes because they see”), we suspect he also changed τὰ ὦτα τὰ ἀκούοντα (“the ears that hear”) in Anth. to τὰ ὦτα ὅτι ἀκούουσιν (“the ears because they hear”). Unfortunately, the author of Luke dropped the second half of this parallelism, so we lack independent confirmation of this suspicion. Nevertheless, an original parallelism seems likely, since both Matthew and Luke preserve “to see what you see…to hear what you hear” in the second part of Jesus’ saying (L14-16, L18). וְהָאָזְנַיִם הַשֹּׁמְעוֹת (HR). In LXX the noun οὖς (ous, “ear”) occurs as the translation of אֹזֶן (’ozen, “ear”) in all but the rarest of instances. Likewise, nearly all instances of אֹזֶן in MT were rendered as οὖς by the LXX translators. Since אֹזֶן continued to be used in MH, אֹזֶן is the clear choice for HR. On reconstructing ἀκούειν (akouein, “to hear”) with שָׁמַע (shāma‘, “hear”), see Mysteries of the Kingdom of Heaven, Comment to L24-25. L8 ἃ ἀκούετε (GR). We believe the author of Matthew omitted “what you hear” in this half of the parallelism, just as he omitted ἃ βλέπετε (“what you see”) in L6. L9 ἀμὴν (Matt. 13:17). Matthew’s Hebraic ἀμήν (amēn, “Amen!”) probably comes from Anth. Lindsey noted that, when using ἀμήν, the Synoptic Gospels often follow a pattern in which 1) Jesus makes a strong statement; 2) Jesus exclaims “Amen!”; and 3) Jesus makes a confirming statement. Lindsey further observed that, “This pattern is particularly evident in Jesus’ μακάριοι (makarioi, ‘blessed’) sayings.” The author of Luke frequently dropped ἀμήν or substituted a synonym where ἀμήν is present in parallels with Mark or Matthew. L10 γὰρ λέγω ὑμῖν ὅτι (GR). Having dropped ἀμήν in L9, the author of Luke was forced by the laws of Greek grammar to shift the position of γάρ (gar, “for”) in L10. Except when the author of Matthew edited Anth. for ideological purposes, in DT pericopae the Gospel of Matthew often preserves the wording of Anth. more faithfully than Luke, since the author of Luke was more prone to making stylistic improvements to his text. If we are correct in supposing that Matthew’s ἀμὴν γὰρ λέγω word order is original, then the misunderstanding of ἀμήν as part of the following sentence instead of a response to what preceded can be traced back to the Greek translator of the conjectured Hebrew Life of Yeshua. Since both Matthew and Luke have ὅτι (hoti, “that”) in L10 we have retained ὅτι in GR. In Greek ὅτι is often used to introduce direct speech, whereas no equivalent such as כִּי (ki, “that, “because”) or -שֶׁ (she-, “that,” “because”) is required in Hebrew. On reconstructing προφήτης (profētēs, “prophet”) with נָבִיא (nāvi’, “prophet”), see Widow’s Son in Nain, Comment to L22. L12 καὶ βασιλεῖς (GR). Luke and Matthew disagree as to whether it was “righteous persons” (Matt.) or “kings” (Luke) who should be paired with “prophets.” Noting that “righteous persons” is a key term for the author of Matthew, and that Matthew is unique among the Gospels in pairing “prophets” with “righteous persons” (Matt. 10:41; 23:29), many scholars agree that Luke’s βασιλεῖς (basileis, “kings”) is more original. Luke’s reading, “kings,” is not without its difficulties, however, since kings are not often paired with prophets in ancient Jewish sources. Furthermore, when prophets and kings are mentioned together kings always take precedence, whereas in Blessedness of the Twelve prophets are mentioned before kings. Over a century ago Edwin Abbott suggested that “prophets and kings” in Luke 10:24 reflects a confusion of מַלְאָךְ (mal’āch, “messenger,” “angel”) in the original saying for מֶלֶךְ (melech, “king”). Abbott’s suggestion has received little scholarly attention, but it offers an elegant explanation for the puzzling combination “prophets and kings” in Blessedness of the Twelve. Not only is מַלְאָךְ a synonym for “prophet” in ancient Jewish sources, there are numerous examples where confusion between מַלְאָךְ and מֶלֶךְ occurred. Since it is easy to suppose that the alef in מַלְאָךְ was unintentionally omitted in the copy of the conjectured Hebrew Life of Yeshua used by the Greek translator, who accordingly wrote “king” instead of “messenger,” or, alternatively, that the Greek translator misread מַלְאָךְ in his text as מֶלֶךְ yielding the same result, we have accepted Abbott’s proposal and reconstructed Luke’s βασιλεῖς (“kings”) as מַלְאָכִים (“messengers”). L13 ἐπεθύμησαν (GR). As we noted above in Comment to L10, except when revising his source for ideological purposes, the author of Matthew often preserved the wording of Anth. more faithfully than Luke. Although at first glance Matthew’s ἐπιθυμεῖν (epithūmein, “to desire”), a compound verb, appears to be more polished Greek than Luke’s θέλειν (thelein, “to want,” “to desire”), the author of Luke may have wished to avoid using ἐπιθυμεῖν of the prophets since in the LXX version of the Ten Commandments ἐπιθυμεῖν is the verb used in the command, “Thou shalt not covet” (Exod. 20:17; Deut. 5:21), and is often used with negative connotations elsewhere in the Scriptures. The negative connotations of ἐπιθυμεῖν are not intrinsic to the verb, however, and since only one other instance of ἐπιθυμεῖν occurs in Matthew (Matt. 5:28), it is impossible to claim that ἐπιθυμεῖν is a particularly Matthean term. We have therefore accepted for GR Matthew’s wording in L13. הִתְאַוּוּ (HR). In LXX ἐπιθυμεῖν translates a few different verbs meaning “to desire,” but none so often as הִתְאַוֶּה (hit’aveh). Although in MH הִתְאַוֶּה became rarer as רָצָה (rātzāh) began to encroach upon its semantic domain, there are examples of the continued use of הִתְאַוֶּה in rabbinic sources. Since הִתְאַוֶּה expresses ardent desire, and since it is known from LXX to be the equivalent of ἐπιθυμεῖν, we have adopted הִתְאַוֶּה for HR. L14 ἰδεῖν ἃ (GR). On reconstructing ἰδεῖν (idein, “to see”) with רָאָה (rā’āh, “see”), see Widow’s Son in Nain, Comment to L10. L15 ὑμεῖς (Luke 10:24). Since ὑμεῖς (hūmeis, “you”) is omitted by Matthew in L15—and by both Matthew and Luke in L18—we have chosen not include ὑμεῖς in GR. The author of Luke may have added ὑμεῖς, which is unnecessary in Greek, for the sake of emphasis. L16-19 The wording in these four lines is identical in the Lukan and Matthean versions of Blessedness of the Twelve except for the insertion of μου (mou, “my”) in Luke 10:24 at L18, which is probably an error on the part of the scribe who copied Codex Vaticanus. Just as, according to Rabbi Eliezer, the generation of the exodus from Egypt was privileged to behold what even the prophets could not see, so, according to Jesus, the members of the generation to which he and his apostles belonged were privileged to see what the prophets longed to witness. Jesus linked “seeing” with the Kingdom of Heaven in the Mysteries of the Kingdom of Heaven saying and the Blessedness of the Twelve pronouncement, and although Rabbi Eliezer does not explicitly mention the Kingdom of Heaven in the above cited comment, it is likely that the concept of seeing the Kingdom of Heaven was at the forefront of his mind. Rabbi Eliezer’s comment pertains to Israel’s Song at the Sea (Exod. 15) where Moses and the people sang: “The LORD will reign [יִמְלֹךְ] forever and ever” (Exod. 15:18). According to rabbinic tradition, this verse constitutes the first mention of the Kingdom of Heaven in Scripture. The proclaiming of God’s kingship in the above passage is equivalent to proclaiming the Kingdom of Heaven. And everyone will receive the yoke of your kingdom, and you will reign over them soon and forevermore. For the kingdom is yours, and you will reign forever in glory, as it is written in your Torah: The LORD shall reign forever and ever [Exod. 15:18]. Your sons [i.e., the Israelites—DNB and JNT] saw your Kingdom when you [i.e., God—DNB and JNT] split the Red Sea so that Moses and the Israelites could pass. “This is my God!” [Exod. 15:2] they responded. And they said, “The LORD will reign forever and ever!” [Exod. 15:18]. In this prayer we even have a parallel to Jesus’ claim that the apostles could see the Kingdom of Heaven. The parallels in rabbinic literature and Jewish liturgical texts cited above support our interpretation that seeing (the mysteries of) the Kingdom of Heaven means witnessing God’s redeeming power in action. According to Young and Flusser, the Blessedness of the Twelve pronouncement refers “to the culmination of redemptive history which is in the process of realization in his activities and by the work of his disciples. These powerful words view the fulfillment as already having arrived in the person of Jesus and through his career.” Their observation highlights one of three important aspects of Jesus’ concept of the Kingdom of Heaven that must be understood in order to fully grasp the meaning of Blessedness of the Twelve. First, when Jesus spoke of the Kingdom of Heaven he referred to a divine activity: God acting redemptively to remove the tyranny of evil and replacing it with his own saving reign. Thus, when Jesus cast out demons “by the finger of God,” he claimed “the Kingdom of God has come upon you” (Luke 11:20). Second, the Kingdom of Heaven refers to the people who participate in God’s redemptive mission. Thus Jesus could refer to his own band of disciples as the Kingdom of Heaven, as in the Rich Man Declines the Kingdom of Heaven incident. Third, the Kingdom of Heaven has a temporal aspect. According to Jesus, the reign of God has broken into the course of human history at a definite point: “the prophets…prophesied until John,” Jesus explained, but “from the days of John the Baptist until now the Kingdom of Heaven is breaking through” (Matt. 11:12-13). As Young and Flusser noted, the temporal aspect of the Kingdom of Heaven comes to the fore in the Blessedness of the Twelve pronouncement. As in the statement, “the prophets…prophesied until John,” here, too, Jesus divides history into the days of the prophets, and the present messianic era (i.e., the days of the Kingdom of Heaven). In other words, when Jesus said to the apostles, “many prophets and messengers desired to see what you see, but did not see it,” Jesus implied that the messianic age of redemption had finally dawned. In former days God had revealed himself indirectly to the prophets through symbolic images, but in the new era that had begun God was revealing his reign through the miracles and proclamation of Jesus and his twelve apostles. God’s redeeming power was being made clearly visible to everyone, because, as in the days of the exodus from Egypt, God was acting once again as the savior of Israel. In this Double Tradition pericope, Matthew and Luke have achieved a high degree of verbal agreement, which indicates that both Matthew and Luke copied Blessedness of the Twelve from their common source, the Anthology. The parallelisms and other Hebraisms preserved in the Matthean and Lukan versions of Jesus’ saying enable us to reconstruct the conjectured Hebrew Ur-text with relative ease. The author of Luke preserved the original context of the Blessedness of the Twelve pronouncement as part of Jesus’ response to the apostles’ return from their healing and teaching mission. Nevertheless, it appears that at several points the author of Luke departed from the Anthology’s wording in order to present a more polished Greek text. Such stylistic improvements include the omission of ἀμήν (“Amen!”) in L9, which necessitated the relocation of γάρ (“for”) in L10, and the addition of ὑμεῖς (“you”) in L15 for emphasis. It is possible that the omission of “and the ears that hear what you hear” in L7-8 is also a stylistic improvement, for the repetition of “see” and “hear” in this pericope may have seemed redundant. Changing ἐπεθύμησαν (“they ardently desired”) to ἠθέλησαν (“they wanted”) in L13 is better explained as an attempt by Luke to avoid attributing potentially embarrassing emotions to the prophets than as an attempt to polish the Greek of his source. None of these changes substantially affect the meaning of Jesus’ saying. From Matthew we learn that, in the Anthology, Blessedness of the Twelve was the continuation of the Mysteries of the Kingdom of Heaven saying. This is an essential clue for arriving at a proper interpretation of the Blessedness of the Twelve pronouncement. At certain points Matthew’s version of Blessedness of the Twelve preserves the wording of Anth. more faithfully than Luke’s, but the first half of this saying is marred by the author of Matthew’s tendentious editorial activity. These editorial changes have the effect of drawing a stark contrast between believers and unbelievers, whereas the original form of Blessedness of the Twelve made a temporal distinction between those who looked forward to the things the prophets had foretold and those who had lived to see their fulfillment. These editorial changes begin in L2 where the author of Matthew introduced the emphatic ὑμῶν δὲ (“but your”) and continue in L4-6 where the author of Matthew changed “that see what you see” to “because they see.” This change transformed the originally open-ended blessing into a highly restricted blessing that pertained only to believers. We suspect that the author of Matthew edited the blessing pronounced upon the ears in L7, which mirrors the blessing pronounced upon the eyes, along the same lines, transforming “that hear what you hear” into “because they hear.” These changes are symptomatic of the growing tension between the original recipients of Matthew’s Gospel and the Jewish community. That these rising tensions are reflected in his revisions to Blessedness of the Twelve is consistent with other editorial changes the author of Matthew made to the “Mission of the Twelve” complex that likewise reflect the conditions that prevailed at the time of Matthew’s composition. 2. What had the Twelve seen and heard? Having returned from a healing and teaching mission, the twelve apostles had witnessed miracles that confirmed that the Kingdom of Heaven had arrived. God’s reign had begun to break into the human sphere with physical manifestations in a way that had not been seen (or heard) since the parting of the Red Sea. Formerly, God’s Kingdom had been veiled behind the curtain of ordinary human affairs, and prophets were required to interpret God’s actions and assure Israel of God’s promises. But now, through Jesus’ words and deeds, and those of his apostles, God’s redeeming power was once again bursting onto the stage of human history and could be witnessed by everyone. The Blessedness of the Twelve pronouncement forms the final segment of the “Mission of the Twelve” complex. A pervasive theme throughout the complex is the redemption of Israel, which God was bringing about through Jesus and his followers. The appointment of twelve apostles to Israel signified the miraculous renewal and ingathering of the twelve tribes (Choosing the Twelve). The healings and exorcisms the apostles were commissioned to carry out signified the lifting of the curse of exile (Sending the Twelve: Commissioning). The apostles’ proclamation that the Kingdom of Heaven had arrived reverberated with the themes of the exodus from Egypt when, according to Jewish tradition, the Kingdom of Heaven had first been revealed (Sending the Twelve: Conduct in Town). When the apostles returned, rejoicing in all they had accomplished in the course of their mission, Jesus affirmed that he had seen a vision in which he saw Satan fall (Return of the Twelve). In other words, the supernatural powers that opposed the redemption of Israel had finally been cast down. Nothing now could stop the coming redemption promised by the prophets of old. Whatever resistance the diabolical powers might still mount against the Kingdom of Heaven could no longer prevail. The day of redemption had dawned, and the glories the prophets had struggled even to imagine (Mysteries of the Kingdom of Heaven) were now being revealed for everyone in Israel to see (Blessedness of the Twelve). In LXX the phrase κατ᾿ ἰδίαν occurs in 2 Macc. 4:5; 6:21; 9:26; 14:21. Evidently, the author of Mark became enamored of the idea that Jesus spoke privately to his disciples, and therefore worked this theme into his Gospel repeatedly. This theme was subsequently passed on to the Gospel of Matthew. In Matthew’s much longer Gospel the phrase κατ᾿ ἰδίαν occurs with less frequency than in Mark. Moreover, most instances of κατ᾿ ἰδίαν in Matthew are taken over from Mark’s Gospel. μακάριοι οἱ γενόμενοι ἐν ταῖς ἡμέραις ἐκείναις ἰδεῖν τὰ ἀγαθὰ Ισραηλ ἐν συναγωγῇ φυλῶν ἃ ποιήσει ὁ θεός. μακάριοι οἱ γενόμενοι ἐν ταῖς ἡμέραις ἐκείναις ἰδεῖν τὰ ἀγαθὰ κυρίου ἃ ποιήσει γενεᾷ τῇ ἐρχομένῃ. In ancient Jewish sources it is more common to find prophets paired with priests, elders or emissaries than with kings. Other examples include: Jer. 5:31; 6:13; 8:10; 14:18; Lam. 4:13; Ezek. 7:26; Zeph. 3:4 (in the order “prophet…priest”); Isa. 28:7; Jer. 4:9; Lam. 2:20; Mic. 3:11; Zech. 7:3 (in the order “priest…prophet”). Prophets are also paired with priests in the writings of Philo (e.g., Cher. §17; Sacr. §130; Gig. §61) and Josephus (e.g., Ant. 6:262, 268; Ag. Ap. 1:249). Elders (זְקֵנִים; zeqēnim) are paired with prophets in rabbinic sources. Cf., e.g., m. Avot 1:1; m. Yad. 4:3; Mechilta de-Rabbi Ishmael, Vayassa‘ chpt. 1 (ed. Lauterbach, 1:225); BaḤodesh chpt. 6 (ed. Lauterbach, 2:324). The term ἀπεσταλμένος (apestalmenos, “sent one”), which is similar in form and meaning to “apostle,” is found in Jesus’ lament over Jerusalem (“Jerusalem, Jerusalem, killing the prophets and stoning those who have been sent to her [τοὺς ἀπεσταλμένους]”; Matt. 23:37; Luke 13:34), where it too is paired with “prophet.” The Hebrew equivalent of ἀπεσταλμένος is probably שָׁלוּחַ (shālūaḥ, “emissary”), a synonym of שָׁלִיחַ. In the Hebrew Scriptures kings were often at odds with the prophets, e.g., Ahab and Elijah (1 Kgs. 18); Ahab and Michaiah (1 Kgs. 22); Ahaz and Isaiah (Isa. 7); Jeroboam and Amos (Amos 7); Joash and Zechariah (2 Chr. 24); and Jehoiakim and Jeremiah (Jer. 36). Further examples from Scripture include Jer. 2:26; 4:9; 8:1; 13:13; 32:32; Lam. 2:9. 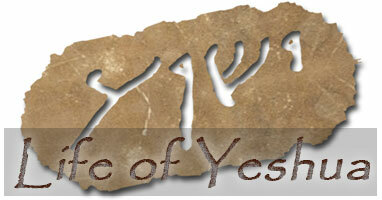 Abbott (Clue, 62-63) noted that מַלְאָךְ was mistaken for מֶלֶךְ in the story of David’s census. According to 1 Chr. 21:20, “Araunah [the Jebusite—DNB and JNT]…turned and saw the angel,” whereas 2 Sam. 24:20 reads, “Araunah looked out and saw the king.” Other examples of the confusion of מַלְאָךְ and מֶלֶךְ occurred in the process of translation from Hebrew to Greek: “The Hebrew ‘messenger’ [malāch] is rendered [in the Septuagint] by the Greek ‘king’ or ‘ruler,’ in Is. xiv. 32, xlii. 19; Prov. xiii. 17” (Abbott, Clue, 63 n. 1). (Abbott cited David Christian Ginsburg, Introduction to the Massoretico-Critical Edition of the Hebrew Bible , 141, for additional examples.) More recently, Kister has collected examples of this confusion from DSS and rabbinic literature. See Menahem Kister, “Ancient Material in Pirqe de Rabbi Eli‘ezer: Basilides, Qumran, the Book of Jubilees,” in ‘Go Out and Study the Land’ (Judges 18:2): Archaeological, Historical and Textual Studies in Honor of Hanan Eshel (ed. Aren M. Maeir, Jodi Magness, and Lawrence H. Schiffman; Leiden: Brill, 2012), 85 n. 70.